Fell free to report any bug. Any suggestions to improve exisiting feature or adding new one are welcome! now, I'm working on a new exciting features! 1 - Increasing in-game zoom x 3, can be enabled/disabled it in settings window. Automaticaly activated when you start a new game. eemap must be running when u start a game. 2 - Multiplayer Lobby Notifications, All lobby message are displayed in window popup( like gameranger), you can filter/disable it in settings window. Empire Earth must be running and connected to NeoEE. 3 - Game Recordings and Replay: when you are in Game press F8 to start Recording (dont work when game is pausing) , SHIFT + F8 to Stop Recording. Replay Recorded Game in eeplayer. you can disable it, auto start or config map quality in settings window. 1- eemap requires Windows Vista or above (7, 8, 10). Windows XP is not supported. 2 - eemap works only with Empire Earth 1 Classic Version Multiple/Single Games (dont works on AOC),I tested it successfully on versions V2.00.3466 and v2.00.3750 and v2.00.6345/ with or without Neoee Patch. 3- eemap is not a patch, its a tool = eemap dont modify orginal Empire Earth files. you need to run it each time you run empire earth. It doesn't matter if you run it before/after you run Empire Earth. or better lets eemap running all the time you play Empire Earth as i do. It not will make any lag. 1- download and install eemap, ignore all windows security/ antivirus warnings, eemap is clean, no virus/spyware. 2 - launch eemap as Administrator = right click on eemap shotcut, "Run As Administartor"
5 - Launch Empire Earth. in game, u can record current game, default hotkeys: F8 = start recording, Shift + F8 Stop Recording. 6 - to replay game, right click on eemap icon, click eeplayer and open record file. Last edited by drex888 on Fri Mar 10, 2017 5:57 pm, edited 1 time in total. Only thing I'm not happy with from a competitive point of view is that zoom out thing. It gives an advantage. For casual play its great though! sure its gives a certain avantage but everybody can get it. while you're at it, if we make Empire Earth great again and stream on those big cinema screens, you might want to add functionality for 200 inch screens. So we can fill cinema's with tournaments for live spectators. 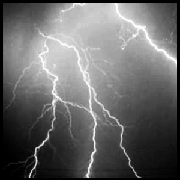 lightnessking. 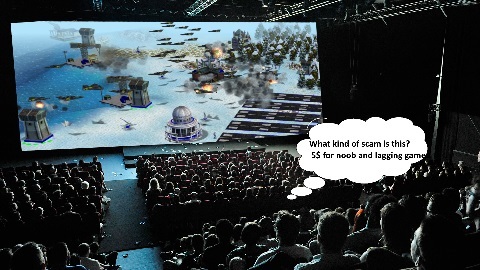 wrote: while you're at it, if we make Empire Earth great again and stream on those big cinema screens, you might want to add functionality for 200 inch screens. So we can fill cinema's with tournaments for live spectators. Is it possible to use eemap with gameranger? For me it doesn't work. And how can I get the video file to upload it to Youtube? This tool is awesome! Thank you so much for this drex! When zoom is enabled, and you go in the scenario editor and zoom out, the game crashes. Yes,I know this bug, it will be fixed in the next version. Udolf wrote: Is it possible to use eemap with gameranger? No, its not works on GR, need to make a specific version for GR. Upload to youtube, very interesting feature I'll google it, I'm sure there are some soft that already does. Drex, I saw some videos of eemap on your youtube channel. How did you get the videofile to upload it for youtube? Udolf wrote: Drex, I saw some videos of eemap on your youtube channel. How did you get the videofile to upload it for youtube?